Converts a standard weaver/picatinny rail to a shotgun rib rail. 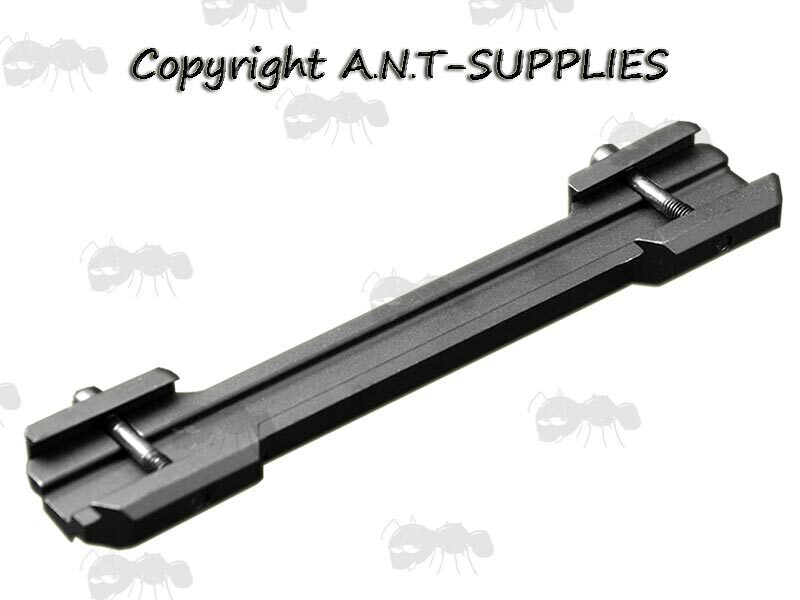 Allowing you to fit 5.5-10mm wide shotgun rib bases sight mounts to weaver/picatinny rails. Aluminium construction with matt black anodised finish. 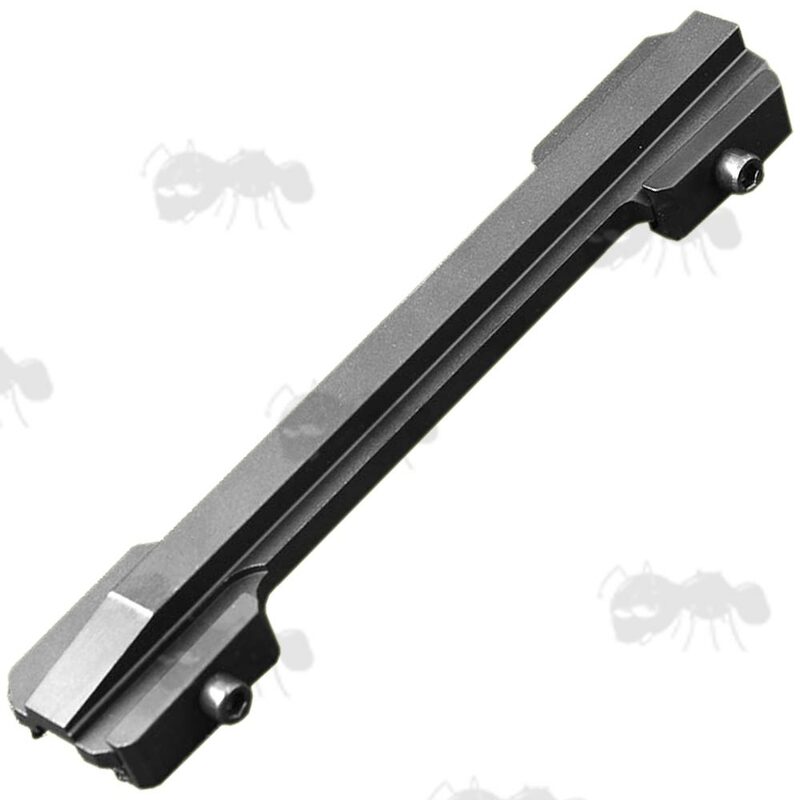 Also available ~ Shotgun Rib to Weaver Rail Adapters.